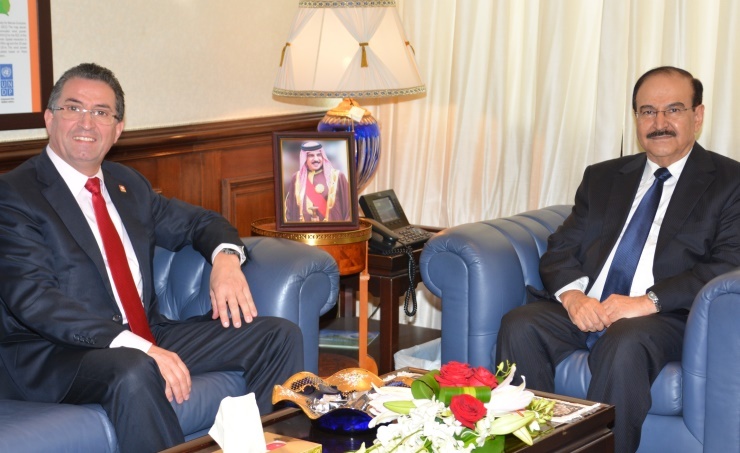 Manama, Oct. 12 (BNA): Electricity and Water Affairs Minister Dr. Abdulhussain Mirza received Swiss Consul General to Bahrain Humbert Vincent Buemi. Dr. Mirza praised strong relations between the two friendly countries in various fields and the possibility of the participation of Swiss companies in projects in Bahrain. The Swiss Consul thanked the minister and officials for the welcome and hospitality and expressed his country's readiness to strengthen existing cooperation between the two countries in the fields of renewable energy to serve all interests and aspirations.